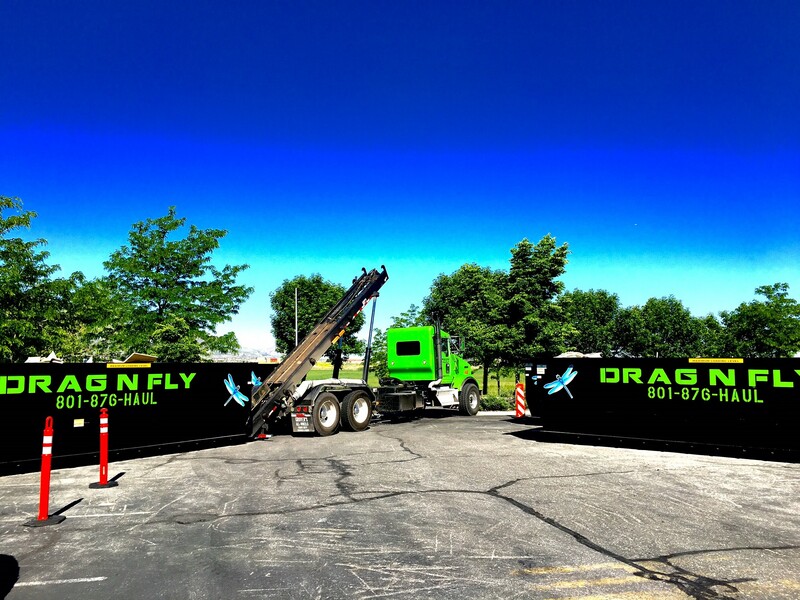 Drag N Fly Disposal, LLC | Locally Owned and Operated Roll Off Dumpster Co.
With the friendliest and most supportive staff to accompany them! ARE YOU STARTING A HOME RENOVATION OR CONSTRUCTION PROJECT? LET THE FRIENDLY STAFF AT DRAG N FLY DISPOSAL GIVE YOU A HAND! Locally owned and operated in Salt Lake City, UT. We started with a simple premise to provide fast and reliable roll off dumpster rental service at competitive rates. Backed by many years of experience in the waste hauling industry, our qualified staff is familiar with your waste and recycle hauling needs. 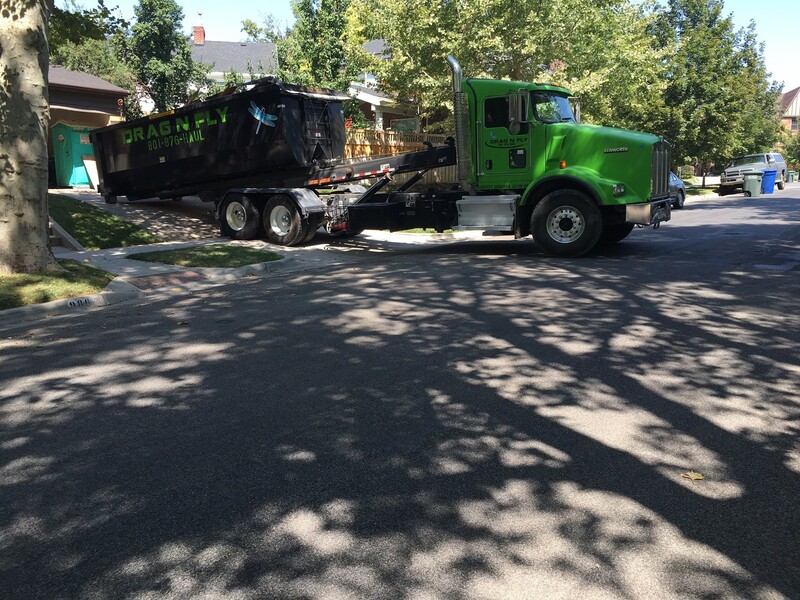 Whether you are a contractor that needs multiple swaps in a day or you are in need of your first roll off dumpster rental, Drag N Fly Disposal is here to help you get the job done on time and on budget. Designed and engineered to save you money we offer the most simple and upfront roll off dumpster rental pricing in Salt Lake City and the entire Wasatch Front. We do not have hidden fees and believe in upfront pricing. We boast a state of the art, well maintained fleet that is GPS tracked and dispatched. Drag N Fly Disposal cares about the environment and the community in which we live, work and play. We strive to protect, preserve, and improve quality of life on our planet by offering comprehensive and safe dumpster rental services. We offer a variety of roll off dumpster sizes to meet your needs. Roll off dumpsters are often rented out temporarily or even one-time but they can also be used indefinitely for customers who generate a large amount of waste and recycling material. Their sizes are measured in cubic yards and we carry 10, 15 and 30 yard dumpsters. With such a variety we can offer the most effective dumpster for your business, home renovation, spring cleaning, landscape clean up, roofing job, construction site, demolition project and recycling needs that you have in Salt Lake City, Utah and the entire Wasatch Front. In business we have learned that technology increases the ability to offer unparalleled service and safety. Drag N Fly operates late model roll off trucks which are environmentally friendly and fuel efficient. To ensure further safety and efficiency our trucks are well maintained and equipped with GPS devices. Our drivers are highly trained, background checked and drug tested. You can rest assured that we will handle your waste and recycling needs with professionalism and attention to detail because we are passionate about keeping our community safe and clean. At Drag N Fly we know that every job has special requirements unique to itself. Our pricing is based off of factors such as: location, length of time you will need your roll off dumpster, the type of material you are disposing of or recycling and how large of a dumpster you will require. When renting a dumpster in Salt Lake City (or the entire Wasatch Front), let our experienced professionals help you formulate the most economic way to dispose of or recycle your waste. We provide accurate same-day billing on all dumpster orders- our motto is “prompt accurate billing with no games or gimmicks”. Give us a call 801-876-HAUL and make sure you are getting the best dumpster rental pricing.